The last few years have dished out some punishment to Egypt, but the Egyptian economy has somehow withstood the onslaught. Not that the country has come out of it all laughing, though. Still feeling the effects, Egypt’s government and institutions are looking to attract foreign aid and investment to recover from the financial knocks. No one can predict the future, which is why starting a business or investing on the financial markets is never easy. You can, however, making informed decisions before you do it. So if you’re looking to invest in Egypt, here are a few things you should know. The days of having to going into partnership with an Egyptian national or Egyptian business are gone. Now you can own every inch of the business if you wish to. Not only that, you don’t have to have a single Egyptian national on your board of directors. But don’t rule out becoming business partners with a national. They can provide valuable local insight into business aspects. Free trade zones are the very first place you should consider setting up your business. Specially designed to attract foreign investment, they hold tasty incentives for foreign entrepreneurs who are looking to Egypt for their next business venture. Even the locations obey this purpose, since they lie close to sea ports and airports so businesses can import and export goods and products easier. Exemption from some labor provisions. Bear in mind that if you start up a business in Egypt, you’ll need to do some business banking. International banks offer special business accounts which are particularly handy for making international payments for goods or services. More than a fistful of dollars? It’s not just through business that Egypt wants to attract investors. The Central Bank of Egypt has resorted to a past measure to attract investment on the financial markets, by reactivating a former mechanism. 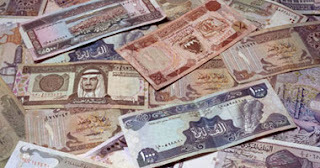 Investment that flows in from abroad through commercial banks will be sold to the Central Bank of Egypt and assigned to a Foreign Investment Fund. When foreign investors sell off their assets in Egypt, they’ll be able to claim the amount in dollars from the fund. Whereas before this scheme only covered shares, this time it will cover bonds and treasury bills too. Into the bargain, foreign investors will feel more confident about investing in Egypt, knowing that their money is not being used to finance the Egyptian balance of payments. So in a bid to bounce back to full health, Egypt is opening up to foreign investment and isn’t fussy about how this investment takes place. If you prefer to invest on the financial markets, Egypt will reward your investment in dollars. Opt to go into business in Egypt and the country will reward you with tax-free profits. Either way, Egypt will see you right.